The Civil Wars want you to make the music video for 20 Years! The first song off their first full length album Barton Hollow, it's about a family secret. Be creative in your interpretation. Deadline for entries is 15 November 2012, 23:59 GMT time. The winner will receive $5,000 and have their video used as the music video for 20 Years. The winner and finalists will be chosen by The Civil Wars and Genero. 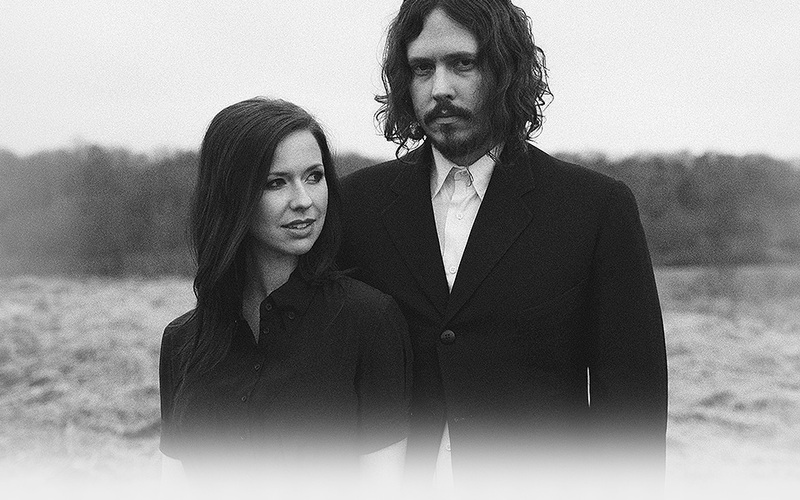 In some ways, music doesn’t get much more modest or minimalist than it is in the hands of The Civil Wars, a duo comprised of California-to-Nashville transplant Joy Williams and her Alabaman partner, John Paul White. They travel without a backup band, and on their first full-length album, Barton Hollow, the bare-bones live arrangements that fans hear on the road are fleshed out with just the barest of acoustic accoutrements. Each song is an intimate conversation, and no third wheels or dinner-party chatter are going to interrupt that gorgeous, haunting hush. Swift took the words right out of the folk-country-Americana world’s mouth. If it looks like The Civil Wars’ appeal might cast a net that extends well beyond the typical audience for acoustically based music, that may be due to the inherent sensibilities Williams and White bring to their collaboration, which are quite disparate, if not necessarily warring. Both were gigging and recording on their own prior to teaming up a year and a half ago, neither solo career quite suggesting what their conjoined sound would turn out to be. “I do naturally bend pop,” says Williams, who adds that she “grew up on Billie Holliday and The Beach Boys.” White, meanwhile, was raised on Kristofferson, Cash, and Townes Van Zandt by his retro-country-favoring dad. “Somehow we’re pulling from each other what we crave and what our strengths are,” he says. “Poison & Wine” isn’t just The Civil Wars’ breakout song. It’s also a thematic declaration of intent for this utterly complementary odd couple, encapsulating everything suggested in the duo’s name when it comes to exploring the conflicts that arise as part of couplehood. Speaking of which: They aren’t, that—a couple, that is. But they’re far from insulted if you mistake them for An Item in the storied tradition of the Swell Season, Richard and Linda Thompson, or other famous duos whose on-again, off-again relationships offstage complicated their stage relations. When “Poison & Wine” was heard in its entirety on Grey’s Anatomy—versus in the background, for a few seconds, as Williams and White had expected—they knew that if the show’s audience liked what they heard, it would put their search skills to the test. The title only pops up in a verse, not the chorus, so it involved some ingenuity or intuition to track the tune down. Fortunately, viewers proved up to the test of finding, and choosing, their “Poison.” At last count, the song’s official YouTube video had been viewed 400,000 times. Months later, they did their first show as The Civil Wars at the French Quarter Café in Nashville—where their future producer, Charlie Peacock, was in attendance and definitely taking notice. Their second show was at a club called Eddie’s Attic in Decatur, Georgia, and it was attended by roughly 100,000 fans. At least, that’s how many people have downloaded Live at Eddie’s Attic, a free digital album, from their website. The set included eight originals plus a cover of Leonard Cohen’s “Dance Me to the End of Love.” “We didn’t even rehearse that much for that show, and we were flying by the seat of our pants,” recalls White. “But the sound guy at Eddie’s is legendary for doing really great board takes, and we listened to the tape on the way home and were pretty amazed at the quality of the recording. So we thought, ‘What the hell, let’s see what other people think about it.’ The beauty of putting that thing out as early as we did is, we could always fall back on: ‘Well, it was our second show’,” he laughs. The Live at Eddie’s Attic release also had some other happy, unintended consequences. Williams feels that the loose chatter between songs helped establish that, as personalities, the two of them aren’t always (or even usually) as somber as their breakout song might suggest. More importantly, it established them as a fully functional duo that might be harmed more than helped by the addition of a slew of hired hands. There’s something circuitously satisfying about the fact that “active listening” is taking place on-stage at The Civil Wars shows as well as among the audience, heightening the sensation that it’s a conversation being eavesdropped on, not just a performance. So much synchronization to go around… but also so much delicious tension, as the duo hardly shy away from the conflict that gives them their moniker. Harmonious discord, thy name is The Civil Wars. Somewhere like… Barton Hollow? Where is the titular location, anyway? “I guess it’s something to do with the picturesque quality of the phrase,” admits White. “It’s a phrase that you’re not gonna Google and find, whatsoever. I found that out the other day. There is no Barton Hollow, that I can find.” But a few minutes later, he’s changed his tune, declaring: “Barton Hollow is actually a place that I grew up. It’s a little geographic place close to where I grew up and did a lot of illicit activities,” White continues, embellishing as he goes, while his partner dissolves into helpless laughter. “I have a soft spot for that place.” Maybe the transporting Williams talks about has worked its magic on her partner, too. Under the apartheid regime in South Africa many Native South Africans were dispossessed of their land and were forced to leave their families to earn a living and pay taxes by working as cheap labour in the mines across the country. They were banned by law from bringing wives and children with them to the mines as they were considered “superfluous appendages” Many of these families were torn apart for extended periods of time, many died of mining related diseases, while some returned to their families after years or even decades apart. The video depicts a Xhosa newlywed couple whose lives are separated for economic and political reasons as the husband leaves to work in the mines to sustain his family financially.